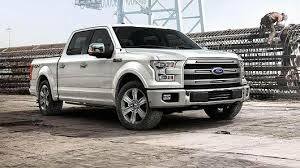 Ford has put a lot of thought, time, and energy into the new redesign of the historic F-150. Obviously, most of the publicity has gone to their transition from a steel to aluminum body. But Ford has been promoting another aspect of the truck: it’s great aerodynamics. Aerodynamics, as you probably already know, can contribute to more than a few things for a new truck. But how exactly did Ford find the appropriate balance between styling, engineering, aerodynamics and cost? Check out the video below to see the testing in action!!! This entry was posted in Ford and tagged aerodynamics, aluminum, f-150, ford. Bookmark the permalink.